This is one of the few pioneering institutions that has been dedicated to preserving and publishing old books and manuscripts dealing with Hindu scriptures and Indological subjects. 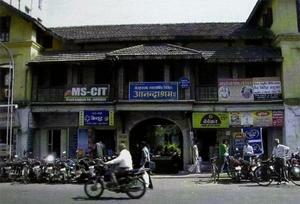 It was started at Pune in A. D. 1888 by M. C. Apte who dedicated all his wealth for the new institution. It is actively engaged in collecting and preserving old manuscripts and books and publishing them. The building of the institution has a shrine dedicated to Śiva where religious programmes are conducted. Apart from a guest-house there is also a hostel for boy-students. So far, 188 books have been printed and 8000 Sanskrit manuscripts have been collected. The process of digitalising them to preserve them in CD’s is going on.